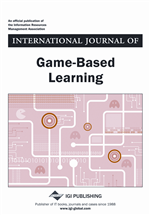 Research on the educational use of virtual worlds is mostly focused on educational know-how: how actors in the educational process can employ these technologies. However, studies focusing on educational practices tend to use a static view of technology – as a product used “as is” or designed and developed for a specific purpose. In such studies, the technological perspective is focused merely on the identification of limitations or restrictions imposed by the features of the specific virtual world being used. - approaches where the virtual world is seen as a space where activities take place under management and support of the external system. This workshop is established in cooperation with the Slactions 2013 conference on virtual worlds. Selected papers submitted to this workshop will be invited to present at Slactions 2013 in November. All papers need to be 4 pages maximum in the IEEE format.